Did you know that the FreeBSD name was coined 25 years ago on June 19, 1993? Because of that, the FreeBSD Foundation has officially designated June 19 as FreeBSD Day! Let’s celebrate FreeBSD by introducing FreeBSD to someone who hasn’t heard of it before, or hosting an Installfest. Learn more about how you can spread the word at the Foundation page below. 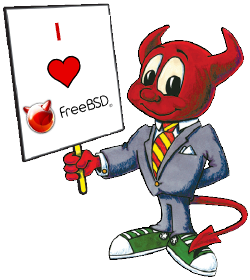 We’re pleased to announce that June 19 has been declared FreeBSD Day. Join us in honoring The FreeBSD Project’s pioneering legacy and continuing impact on technology. FreeBSD is an open-source operating system developed out of the University of California at Berkeley in 1993. Used by billions of people around the globe, FreeBSD is used to teach operating system concepts in universities. Companies also develop products on FreeBSD, and universities use it as a research platform. In fact, there’s a good chance you’re already using at least some code derived from FreeBSD in your everyday life. For example, if you stream movies via Netflix, chat with friends on WhatsApp, or play the latest PlayStation 4 game sensation, you’re already using FreeBSD. As a pioneer in open-source technology, FreeBSD can be modified and redesigned to meet the needs of the user, free of charge within the guidelines of the license.